Entered active duty with the Navy in 1957, stationed at Miramar California where he flew from three separate aircraft carriers. Graduated from the US Naval Test Pilot School in February 1964 and was assigned to flight testing at Patuxent River, Maryland from March 1964 until selection by NASA. 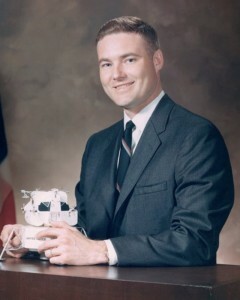 Joined NASA in 1966 but left two years later after learning he had pulmonary disease. Following his Ph.D. he worked at NASA’s Ames research center from 1973 to 1985 as a flight test engineer. 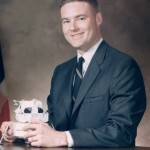 From 1986 until his retirement in 1989 served as the Manager for NASA research programs at Ames. Following retirement, provided consulting services for Aerospace research and technology.